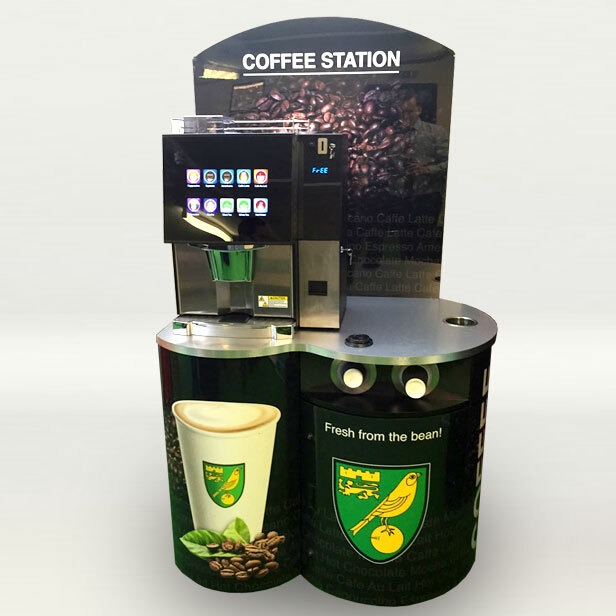 Our new coffee station offers coffee shop quality hot beverages from a sleek and compact self-service unit with Green Farm Coffee branding. 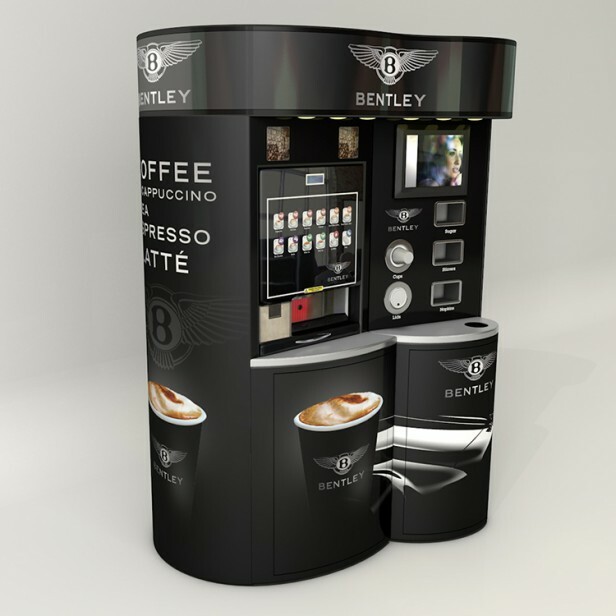 With integrated cup and lid dispensers and display areas for sugar sticks. stirrers and napkins it is a truly all in one coffee solution for businesses and retail catering. Different models are available to suit the premises together with Green Farm or own branding. 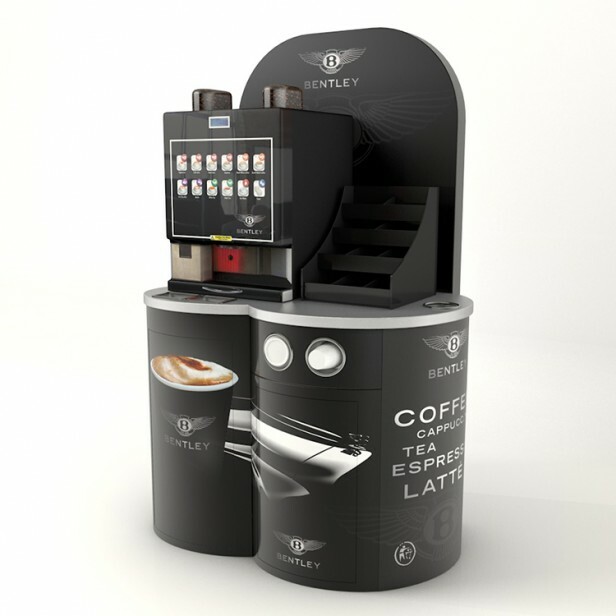 A choice of coffee machine is available serving fresh coffee direct from the bean or quick serve instant beverages. 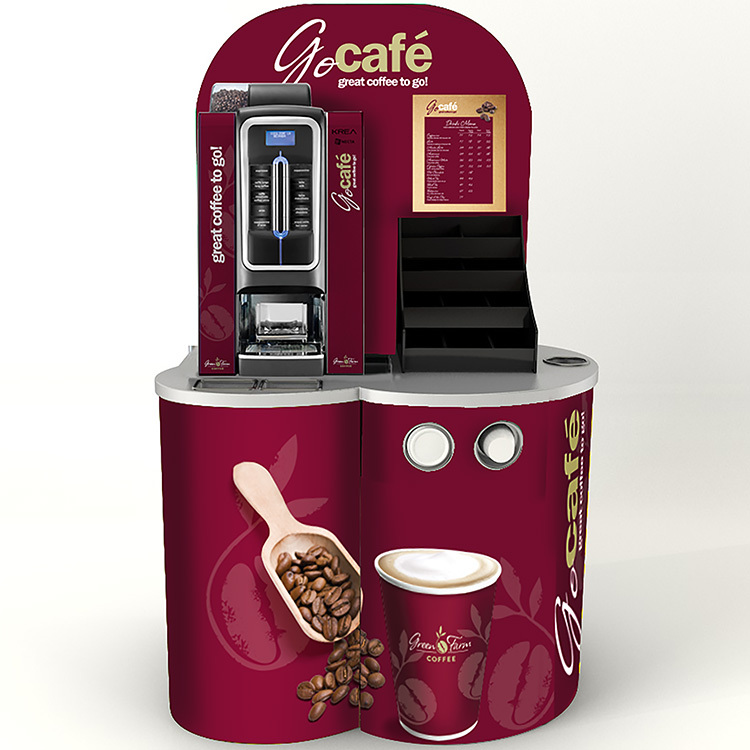 Featured machine in the image is the Krea Coffee Machine.